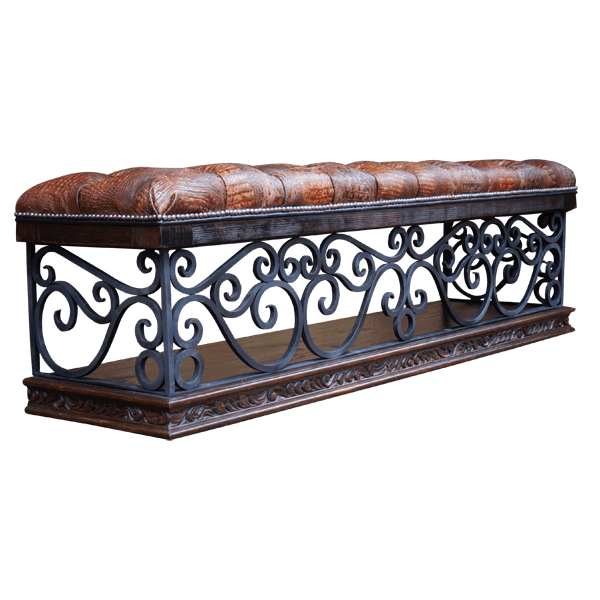 This lovely, handcrafted, Western style bench can be built larger or smaller to accommodate the specific needs of your home décor. 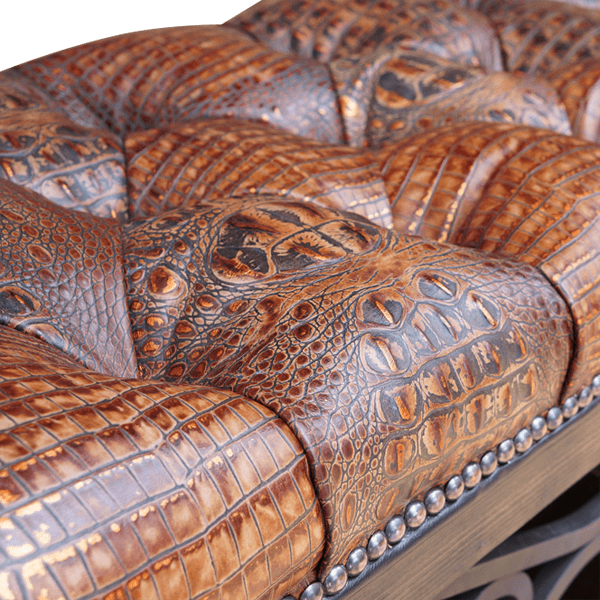 The bench is designed without a back, and its well padded seat is upholstered with simulated, crocodile patterned, full grain leather. 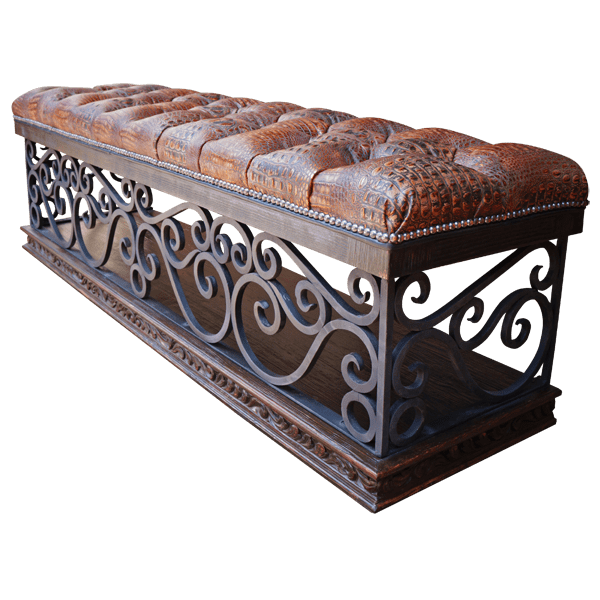 The upholstery has a luxurious, button tuft design, and the leather is hand tacked to the solid wood frame with decorative, gilt nails. The seat rest on ornate, curved, hand forged, iron designs. 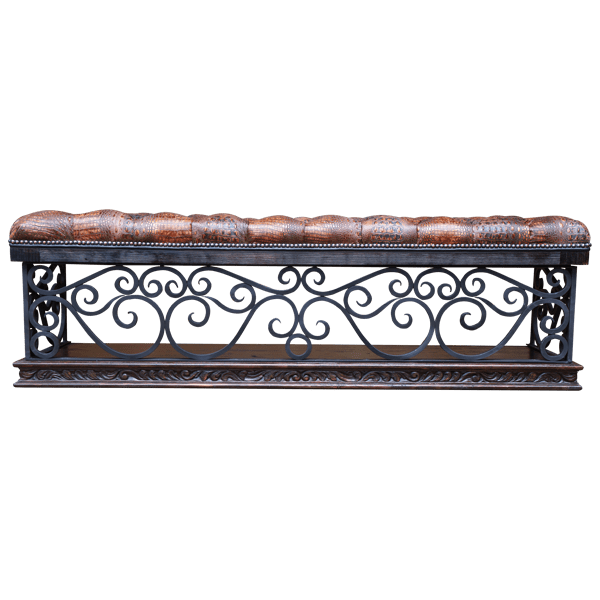 The bench has a solid wood base, and the front and the sides of the base are embellished with gorgeous, hand carved, floral and scroll designs. The bench has a classic finish, and the base is made with the best, sustainable, solid wood available. It is 100% customizable.